I was recently nominated for the Liebster Award by the lovely Becki from Tianne Cherie's Lashes and Brows. 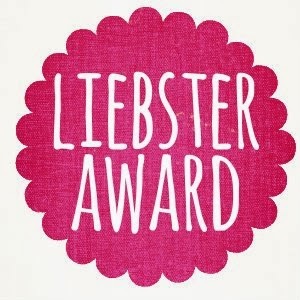 In all honesty, I had never heard of the Liebster Award before, so I wasn't sure what it was all about. As Becki explains in her post, The Liebster award is designed to help up and coming bloggers to discover other bloggers that also have less than 200 followers. It's a great way to network and get to know other bloggers and their lovely blogs. 2. You must answer the 11 questions given by the nominee before you. 3. You pick 11 nominees with under 200 followers to answer your questions. 4. You cannot nominate the person who nominated you. Definitely head over and check out Tianne Cherie's Lashes and Brows - I'm sure Becki would love for you to stop by! Nicole Richie. She always looks stunning and I love her individuality. What is your favourite beauty website? At the moment I'm in love with Benefit. I also love Napoleon, M.A.C. and Chi Chi. I just love writing and I really enjoy the creative aspect with the photo's etc. I've also really enjoyed getting to know new people. Where is your favourite place in the world to have visited? I've never been overseas and I'm not sure where my favourite place here in Australia would be. I love reading and I really enjoy baking. I struggle with this question because I have very little confidence. 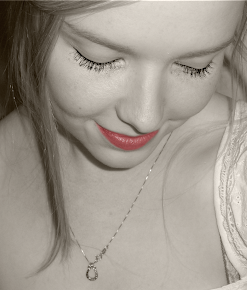 But I guess I would say my heart is my favourite thing. I feel like I'm a kind person and would do anything to help anyone. What is your favourite piece of make up that you cannot live without? Concealer. I think even if you have nothing else, a few dabs of concealer will still go a long way. If you could meet anybody, dead or alive who would it be?